Dr. Rupert Sheldrake is a biologist and author of more than 85 scientific papers and 13 books. He is a leading researcher into anomalous phenomena and was named among the top 100 Global Thought Leaders for 2013, as ranked by the Duttweiler Institute, Zurich, Switzerland’s leading think tank. He studied biology and biochemistry at Cambridge University where he earned his Ph.D., followed by a fellowship at Harvard where he spent a year studying philosophy and history. Some of his books include: ‘The Science Delusion’ (2012), ‘Morphic Resonance‘ (2009) and ‘The Sense of Being Stared At‘ (2004). 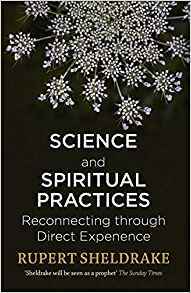 This interview focuses on Rupert’s most recent book: ‘Science and Spiritual Practices‘ which was published in 2017. You can buy the book on amazon, and learn more about Rupert’s work here.